A simple, yet satisfing and quick arab metze. It’s always worth a try! Place all the ingredients in a blender, turn on and blend until smooth and silky. 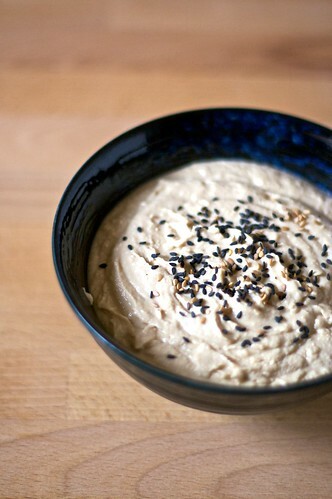 If the hummus should be too dry, add more thaina, a tablespoon of lemon juice and a teaspoon of oil at the time. Transfer everything in a serving bowl adding sesame seeds or chopped parsley on top. It keeps in the fridge for at least 2-3 days. People are usually told to rinse tinned beans because they are kept in saltwater. You’ve got to work on your answers if you are meant to be the cooking expert. Thank you for your point of view Jean! If you fell like being a cooking expert why don’t you open your own space on the web so you can express your point of view?